Arguably the car that inspired all Aston Martin designs of the future, the DB2 is a real piece of Aston Martin history. But this particular car holds a special place among DB2 – and indeed Aston Martin – history. It was only the fourth chassis built, the second six-cylinder version and for the start of its life was the personal transport of David Brown ‘DB’ himself. However, in 1950 it was put to the racetrack, with an entry into the Targa Florio and an impressive fourth-place finish at the Coppa Intereuropa at Monza. An accident later that year would see the car repaired and sold, from which time it remained very much under the radar until 2010. 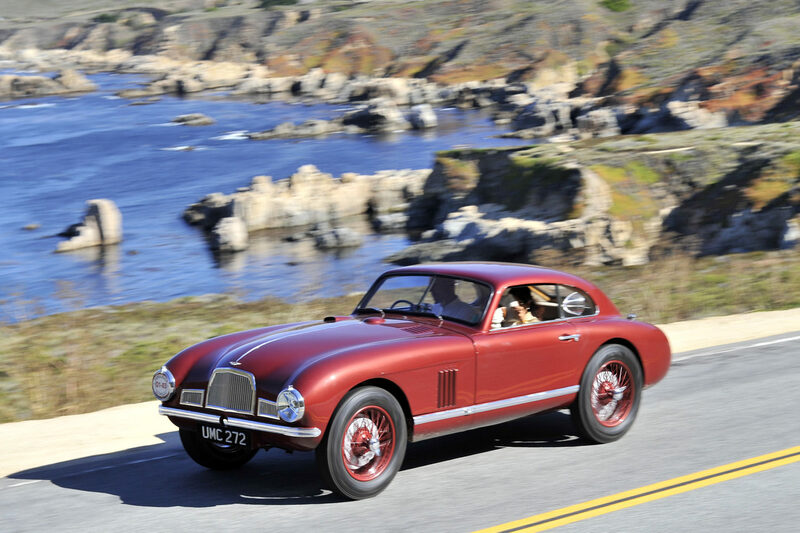 Recently restored and finished in the same deep red paint it first wore, this unique piece of history showcases Aston Martin design cues that exist to this day – though the three-bar grille and raised ride height were subsequently dropped.